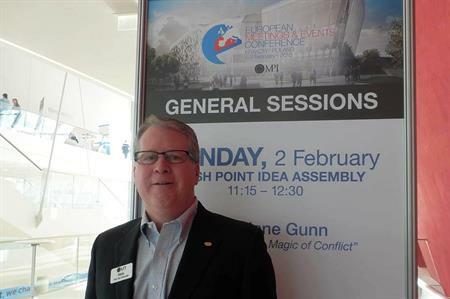 C&IT caught up with president and CEO of MPI Paul van Deventer at MPI EMEC 2015 in Krakow, Poland, to reflect on the show and to see what the association has in store for next year. How has the show gone? It has been fantastic. The facilities here at the new ICE centre are really well done and it’s gorgeous and practical. Most importantly, the feedback I’m getting is that so many of our attendees have never been to Krakow and they’re seeing the brilliance of the city. These events are about professional development, but what I’m hearing from many of the attendees is that they now intend do to business in Krakow. If they learn, get educated and make new business contacts and then Krakow gets business out of it then that is a great ending. We do a formal bid process, which is built around a criteria of what our members are looking for, the accessibility and facilities of the city and whether it is a place that’s looking to do something different and dynamic. Krakow has a unique story to it. One of our future leader forum (FLF) students became associated with MPI after he came through the FLF and he was from here and he made it a passion of his to try and get MPI to Krakow. He’s now on our international board and he’s been a real energy and instigator behind bringing us here. How has the event grown from last year? We have more attendees than last year, we have more countries represented than last year and we have a very large student population, which is so good to see because that’s the future of our industry. We also did something that we haven’t done in Europe to date, which was to put a hosted buyer programme together. That’s added a whole new element where we have a group of planners and suppliers who wouldn’t normally have attended. We also drew some additional members from the US over to look at Krakow. Why is it important to have that student representation? What are your plans for next year’s EMEC? We’ve got a few areas of focus next year, which are going to be different, as well as expanding. The first thing that is going to be really different next year is we’re going to be co-locating with two other events. We’re combining a number of different events in order to give our participants access to more opportunities to learn. We have an event group that we’re working with that is focussed on sustainability and another one that’s focused on meeting innovation. If you bring those together with the core content that MPI provides, then there is going to be a very robust curriculum and a unique opportunity to explore a number of different perspectives around the industry at once. We’ve had a lot of success with the launch of the hosted buyer programme this year, so we’re going to expand that. We’re also going to continue to refine and focus our content around business acumen and personal growth for the individuals. What does the future of MPI look like? We are really focused on being the top source of professional development for anyone who is in the meeting and events industry or who is associated with the meetings and events industry. We’ve historically been really focused on our member base; we want to be broader than that. We want to provide resources, tools and skills around professional development and networking that can benefit anyone, whether you’re a full-time member or just looking to advance yourself and develop yourself.